Facing a stiff opposition from the inmates, the police had to enter the ashrams through the roofs of the adjoining buildings. Virender Dev Dikshit's Adhyatmik Vishwa Vidyalaya in Rohini, Delhi, was raided on Thursday. 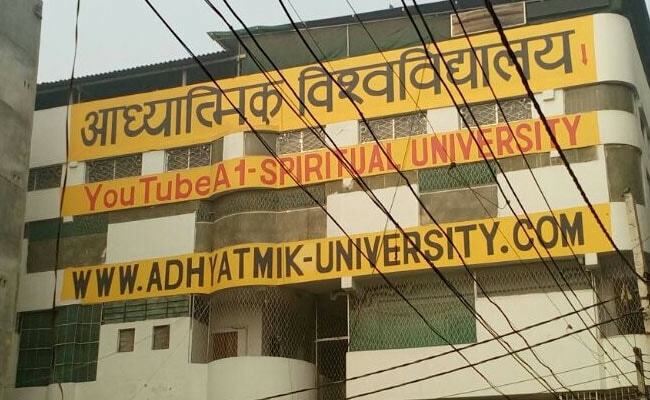 Farrukhabad: In view of serious allegations raised against spiritual leader Virender Dev Dikshit's Adhyatmik Vishwa Vidyalaya in Delhi, the police in Farrukhabad today raided two ashrams run by him at Siktarbad and Kampil and rescued 47 women and a minor girl. Senior police officials led the raids. Facing a stiff opposition from the inmates, the police had to enter the ashrams through the roofs of the adjoining buildings, they said. The women inmates of the ashrams demanded a search warrant for opening the gates and were also involved in a verbal spat with the police. Additional Superintendent of Police (ASP) Tribhuvan Singh said the minor girl, rescued from the Siktarbad ashram, would be produced before a magistrate and her statement would be recorded soon. The Delhi Commission for Women, along with the police, raided an ashram run by Dixit at Dwarka in the national capital today and rescued five girls. This came in the wake of raids conducted at the Adhyatmik Vishwa Vidyalaya at Rohini in Delhi on Thursday, where women and girls were kept confined like "animals in a cage". The ashram was founded by Dixit.